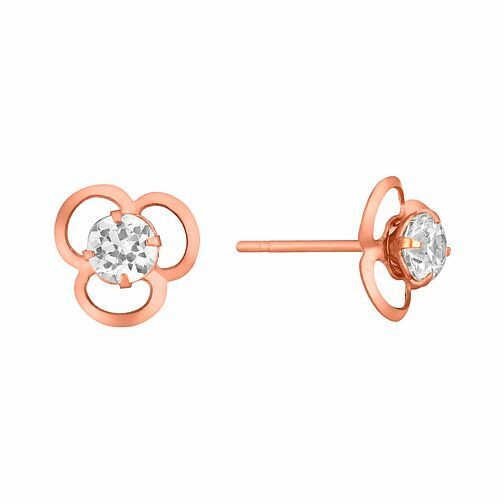 A simply stylish pair of flower shaped stud earrings, crafted in warm 9ct rose gold. Glittering cubic zirconia adds a splash of sparkle to your everyday look. 9ct Rose Gold Cubic Zirconia Set Flower Stud Earrings is rated 5.0 out of 5 by 2. Rated 5 out of 5 by Anonymous from 9ct rose gold earrings with single stone I bought these earrings for a xmas present and was very pleased when they arrived. They are exactly as shown on line and good quality.